This is a fun way for kids to use watercolour and wax candles. 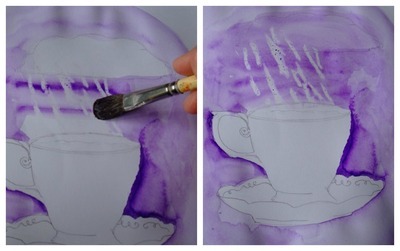 Draw a teacup onto sheet of cardboard or paper, and outline a clould above it. 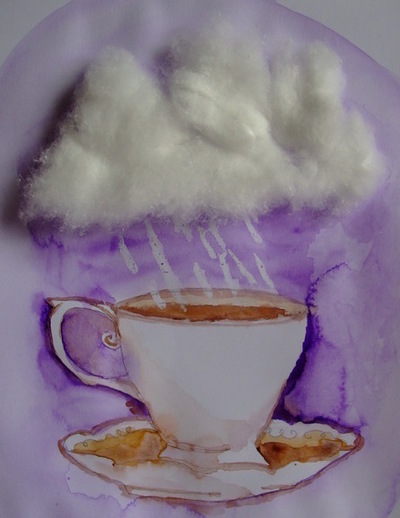 With a wax candle make rain strokes from cloud to teacup. 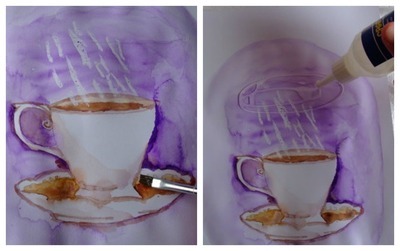 With watercolour paints, paint around the tea cup and over the wax rain drops. 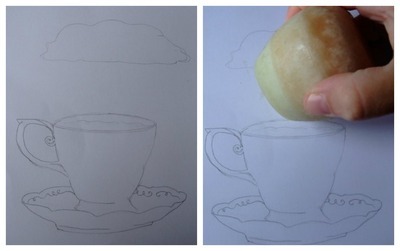 Paint in your teacup, then add glue to the cloud. 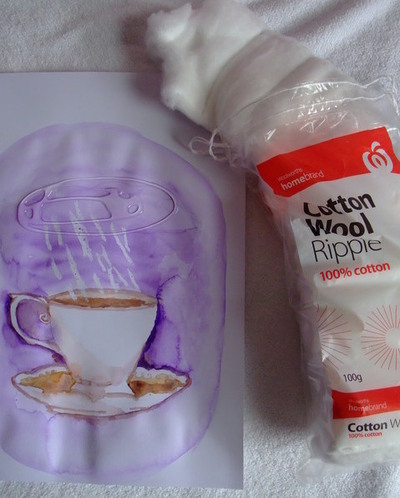 Press cotton wool on top of rhe glue.